It’s game time. And even if your team disappoints, our Race & Sports Book won’t. A wall of 90 HD screens guarantees you’ll have the best view of every pass, catch, basket, goal or home run. Don’t see your game? Just ask and we’ll turn it on. So place your bets, sit back in one of our plush couches or lounge chairs, and enjoy full drink and food service. There’s also a VIP section if you’re looking for an even more exclusive experience. Many people find The Race & Sports Book’s no-smoking policy to be a breath of fresh air. But if you want to smoke, the casino floor or Sports Bar are just steps away. This intimate celebration of sports is meant to be shared with others. So place your bet, sit back and enjoy your cocktail as you watch your winnings add up. You won’t find row upon row of uncomfortable seating here. Over-stuffed armchairs are surrounded by televisions showing up to 200 live events. The only thing that fills the air in our Race & Sports Book are the cheers of the victors. Take a deep breath and enjoy the fresh air. Every day, the marquee events are shown on one of our 220” televisions. Life-size has officially been replaced with larger-than-life. Don’t want to wait in line to place a bet? 8 IPT Betting Stations are available for Horse and Dog race fans while two stations are available for all sports. 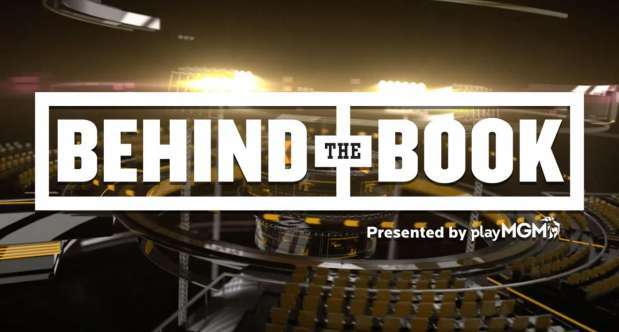 Jay Rood and Gill Alexander go #BehindTheBook every week to give you their expert analysis on the week's hottest sports betting action.